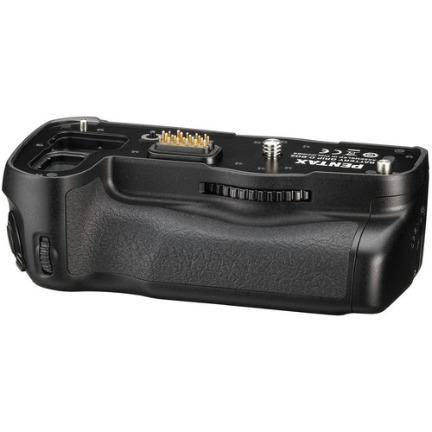 The Pentax D-BG6 Battery Grip holds one D-LI90P battery pack or 6 AA batteries in addition to the one already in the camera, ensuring longer shooting times without changing batteries. Also, it extends the grip for greater comfort and includes a variety of switches, buttons, and dials to allow for full operation while shooting in the vertical orientation. The grip is fully weather-sealed as well, with 47 different seals throughout to protect from water and dust.